Dual bi-directional, ultra high-end Neodymium tweeters produce high frequencies with captivating clarity and truly immersive surround sound. Truly immersive three-dimensional sound in the comfort of your living room. The Signature Series Bipolar speakers create an amazingly convincing surround sound experience you would expect in a movie theater. Whether enjoying movies or binge watching your favorite TV shows, these bipolar speakers will ensure you are in the middle of the action. So grab some popcorn, sit back, and enjoy. 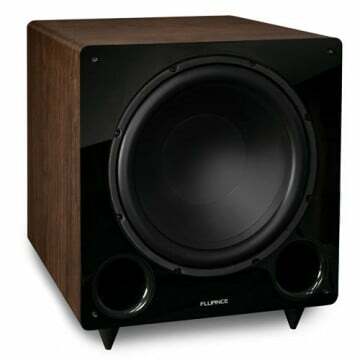 The Fluance Signature Series is a powerhouse in home audio. From the powerful midrange, to the ultra-high end tweeters, these speakers are the result of years of meticulous engineering. With a focus on sound excellence, every detail has been measured, tested, and perfected to recreate even the finest audio details with crystal clear accuracy. Widespread, enveloping surround sound throughout your entire room. The unique bi-directional design of these speakers produce a large three dimensional soundstage. This is achieved with two tweeters on opposing sides of the cabinet allowing an ideal mix of direct and indirect sound. Designed for placement beside or behind the listeners for a room filling home theater experience no matter where you sit. The midrange drivers are woven with light weight yet rigid glass fiber for optimal linear movement to handle even the highest volume levels and still ensure sonic precision and clarity. The unique pointed dome allows sound waves to travel directly from the center of the cone for an enhanced soundstage. This guarantees every movie is heard the way the sound producers intended. I purchased the 10" Sub with Signature center, Signature Bipolar surrounds to use as our front main speakers and the classic bipolar surrounds setup for the rear channels. I did not want large front speakers and did not want to be under powered with our current amp which claims 90w RMS per side and 145w x 7.1 channels. I am really pleased with the look and quality of the setup and after a few days all I can say is... WOW! Great stuff with awesome clarity and stage presence.The build quality is excellent and the break in period and auto setup feature on the amp really brought these to life. So happy with my choice of purchase! INITIAL REFLECTIONS ON PURCHASE, DELIVERY AND PACKAGING. 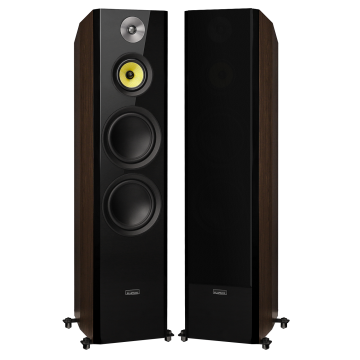 My thoughts here are my initial reflections: The Speakers .....Signature Series Hi-Fi BiPole Surround Sound Speakers are very elegant to look at. Picking up the speaker one feels that it is a very solid piece of engineering. Looking at the back of the speakers they seem very well to my eye. The speaker cable connectors are solid and provide a very tight tight. This assures me that I am getting all of the signal being put out by my Arcam AVR.. Looking over the all the finished sides of this speaker tells me that FLUANCE went the extra mile and then some for the price. The angled front/sides are a very attractive high gloss finish. WOW! i am impressed. The magnetic grills are nice Touch of Class. After spending quite a bit of time on their website reading product description, purchaser's reviews and reviews by professional publications. I bought a pair ......No I just did not purchase a pair but a 'Pair of Pair's " . My purchase was to complement and upgrade my surround sound speaker system from a 5.1 to a 7.1. Currently I am in the process of breaking them in and shall have a review of their audio/sound qualities. I placed my purchase order just after the noon hour and received my order the very next day............In my book that is service!!!. After all I wanted to start playing with my new toys. The speakers were 'double boxed' ............now I have purchased a centre channel speaker which cost 10 times the price of The Fluance Surrounds and it wasn't double boxed. I have had speaker setup for approximately 4 weeks. I let them go through the break in period of 30-40 hours. I am using these as surround rears speakers and listening to 5.1 music. I have pushed these speaker watching movies and music and they sound great. I replaced my old Paradigm atom 3 book shelf and all I can say is wow. Depth and clarity are fantastic. 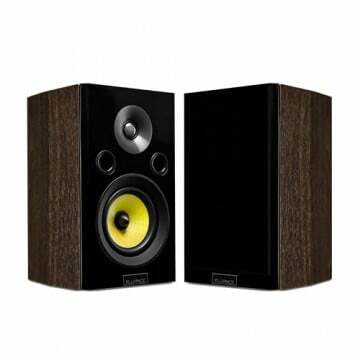 The price for these speakers are great value and would put up to any speaker at double the cost.I am very happy with them and looking to change the front towers from Energy to the signature towers. Fit and finish of these speakers are beautiful. 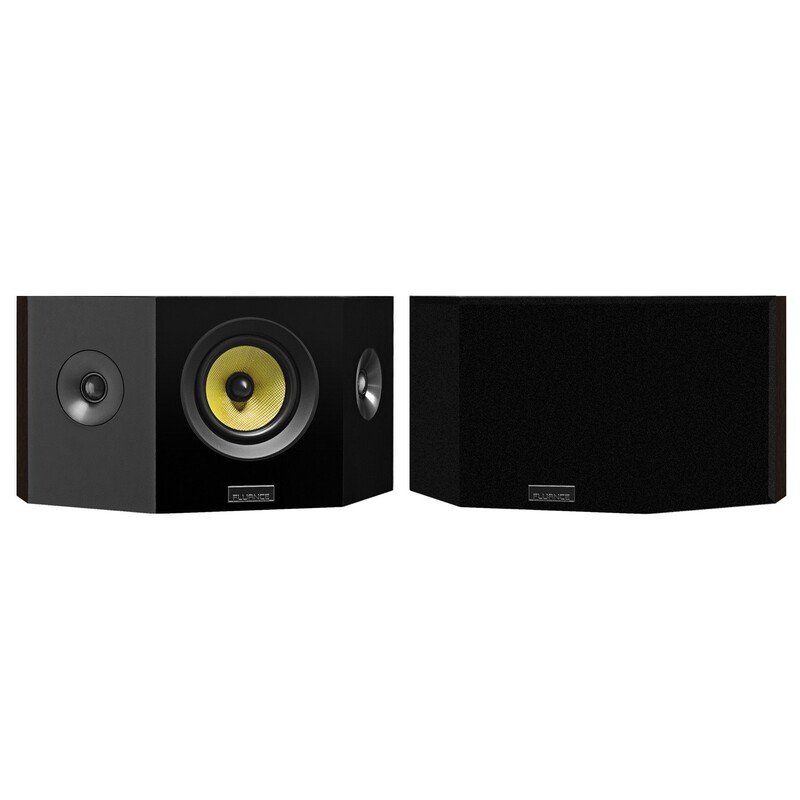 I searched high and low for a good pair of rear speakers for for family room/ theatre room. These replace a very old pair of paradigm atom 3 which could not handle the task. The atoms crackled at high volume movie effects. ( Bad woofer). After approx 30-40 hours break-in and not pushing volume I put to the test. First off music playing through a Yamaha receiver. Depth are great clear and crisp, handles the receiver perfectly. Movies werr next and where the atoms failed these speakers shined. I love loud action movies and glad my wife does too. Clarity is excellent. Now makes me wish I got the signature towers for the fronts. I want to retire my old energy c30 which handle power but I feel it sounds a bit flat. The look and feel of speakers are beautiful. Very impressive! Even used as Mains. It's only been 24 hours, but I believe these are the best speakers I have owned in 35 years. Let me give you my profile so you can decide for yourself whether or not my opinion matters to you. I'm neither an audiophile in the sense of spending thousands of dollars on my audio system, but I am picky enough that I have never willingly listened to a single song on an iPod, laptop, or even a TV speaker. Can't bear muddy or poor quality audio, but don't want to spend a fortune. I have a nice Yamaha 7.1 AVR receiver supplemented with budget Polk and Cerwin Vega speaker which were OK but I felt were not living up to the potential of the receiver. In other words, I'm not qualified to judge these against very expensive pro speakers, but I can assure you they are a big step up from budget or standard brand name speakers. Last week I purchased a Fluance turntable and was impressed with the quality that I decided to spring for these speakers. 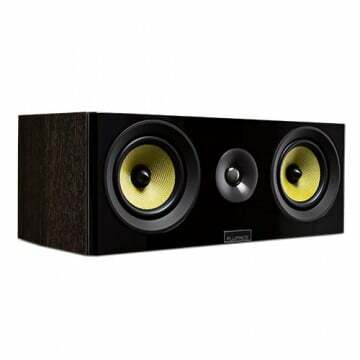 I purchased these for use as my MAIN L&R speakers (supplemented by a Velodyne Sub-woofer and a higher end Polk center speaker). They are certainly up to the task. They are very impressive in both build quality, style, and sound quality. These are the first speakers I've had where I did not have to manually boost the treble on my receiver. The highs are nice and clear. The vocals in the mid-range are well defined and not muddy at all. Bass seems to be adequate, but I would recommend a sub-woofer to assist them if used as mains. Now I have to give serious thought to whether the rear speakers are worth upgrading to these as well. Strongly recommended - even as front mains. Very impressive quality and sound. Work great as Mains as well.